In 2014, Dom Lespierre’s rugby journey in this country looked to have come to a halt after leaving National Two North side Hull. During that summer, when he was at a crossroads, opportunities to once again play in Australia were on the horizon for the winger and a move down under seemed a real possibility. 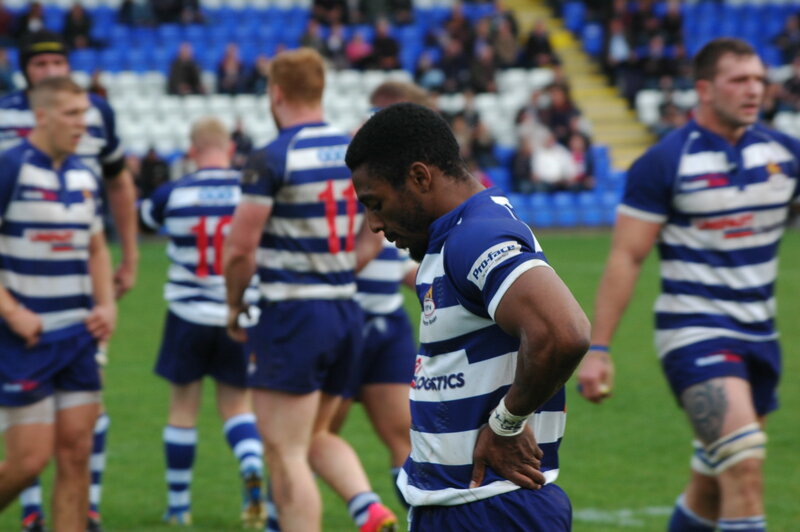 However, as the Guyana international was preparing to pack his bags and travel to the other side of the world, National One club Coventry came calling and his passage in the English game was reignited. But in 2016, Lespierre had yet another decision to make about whether a move abroad was the right step for him, but a second chance in English rugby came to light and it was too good to turn down. “At Coventry, we all got released when there was a change in management and it is now obviously working for them, but for me, I hadn’t been back in London since I left school. When Lespierre joined National Two South side Old Elthamians, the club were making steady progress. Indeed, the now 31 year-old was joining a team in the fourth tier of English rugby and for a player that had featured in National One, tried his hand at rugby league and had represented his country at the 2010 Commonwealth Games, this was certainly a fresh experience for him. But, not even Lespierre could have predicted the rise of OEs and his own sensational form over the last 18 months. 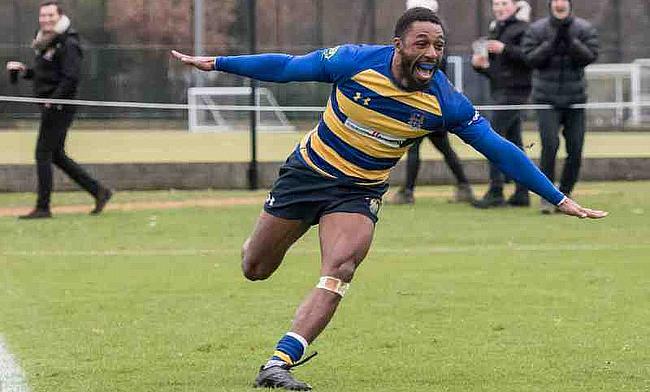 The side from College Meadow created history last season by reaching National One for the first ever time and Lespierre played an integral part in their promotion winning campaign as he scored a scintillating 36 tries in 31 games which was a new club record. While moving up a division has traditionally been tough for new sides coming into any league, OEs and Lespierre have seized their opportunity in the first half of this term. 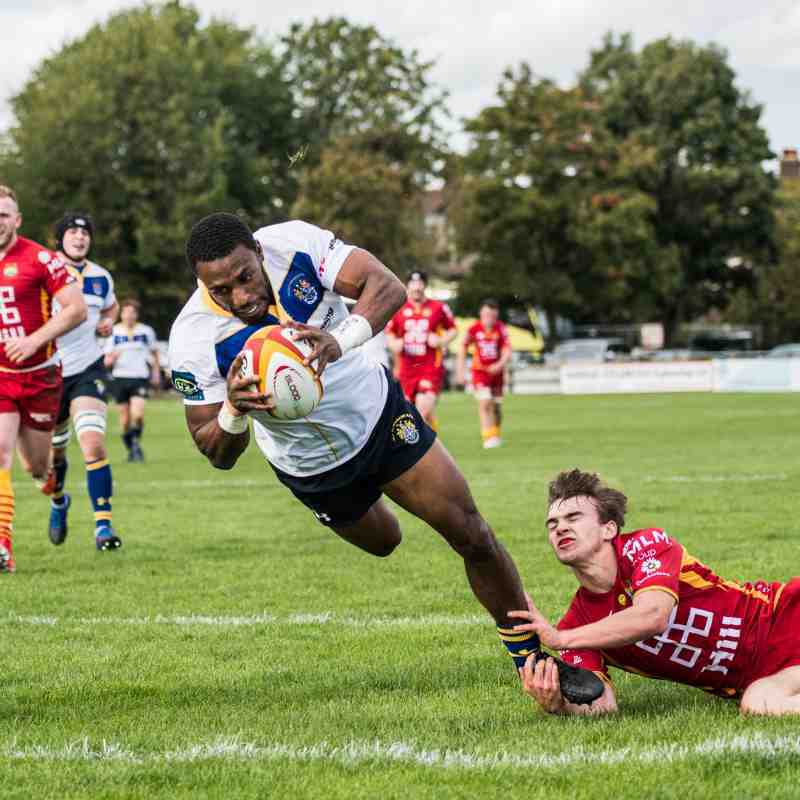 The talented winger is already on top of the try scoring table with 12 from 15 matches and his side find themselves currently sitting seventh in the standings after an impressive season under the stewardship of Gavin Lach and his coaching staff. “Before I even came to the club, the club has been building,” adds Lespierre. “I think the calibre of playing group and the experience that we have is the minimum standards we should be setting ourselves. I said in an interview with the club that we weren’t coming into National One just to make up the numbers. OEs Head Coach Gavin Lach stated last year that ‘seven seasons ago we were being watched by two men and a dog’ so it would be easy to think that the Mottingham-based side would be over the moon with the way their first ever season in National One has gone thus far. But as myself and Lespierre continue to chat, it is clear that this opportunity to play in the third tier is not something the club or Lespierre will just enjoy and seventh place in the table is not something to be satisfied with. “I wouldn’t say it has been brilliant,” Lespierre explains. “I’d say if you offered most of the people seventh in the league at this point in the season at the beginning of the campaign, people would have bitten your hand off. “But, as a player group and a management group as well, we know in the games that we have lost, we have let ourselves down and we could be higher in the league. We came close to beating the leaders Coventry, but in the matches against Esher and Ampthill, we were architects of our own demise. That has been disappointing. Lespierre arrived back in London earlier in the week after the festive period as Old Elthamians prepare to kick-off 2018 with a home fixture against Fylde and the winger is keen for his club to not rest on their laurels as they aim to continue making an impression in National One. “As soon as you say to yourself as a player or as a club that we are happy to consolidate and settle, that is when you start to open yourself up to susceptibility,” he adds.